Brilliant planning and smart execution make any idea just perfect and fruitful. Whether it is buying anything, taking a decision or planning a business, all these need a right planning and perfection in all manners to get the best. Buying a residential property is a kind of decision that requires huge efforts and planning. It includes checking the background of the builder, location of the property, facilities offered, price, payment plans, floor plans and much more. You just need to make a smart decision about all this. If you are planning to make an investment in a residential property in Gurgaon, then must go through the Sobha City project planned intentionally in Sector 108 Gurgaon. This is a highly conceptualized property that is designed as per the requirements and expectations of individual buyers. 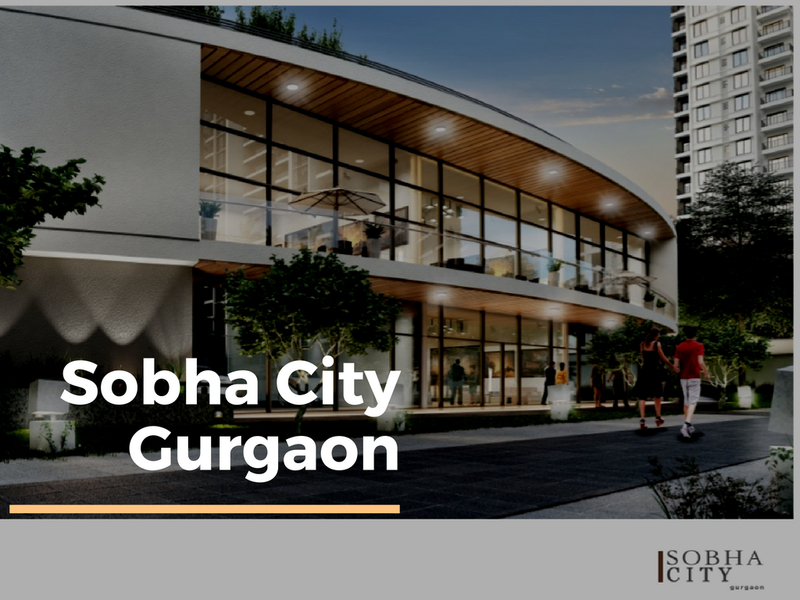 Sobha City Gurgaon offers a beautiful mix of 2 and 3 BHK apartments that are equipped with all the ultra-modern and luxurious features. The impressive design and unmatched amenities make it a remarkable property in the city. The development is surrounded by green and natural settings and gives you a claiming ambiance and lush green panoramic views from your homes. A total of 25 towers are planned here in G+25 floor structure format offering 4 units on each floor. The superb designs and spacious interiors of the apartments are simply awesome. The interiors and exteriors of these homes are planned as per the expectations of modern homebuyers to make their living comfortable. The entrance door of the apartments is planned brilliantly that these do not face other to ensure complete privacy. The floor planning of these homes is done brilliantly in a way to ensure the privacy and security of the residents. This is one of the most brilliantly planned properties in Gurgaon that will offer you an ultimate and best-in-class living experience to the homebuyers. 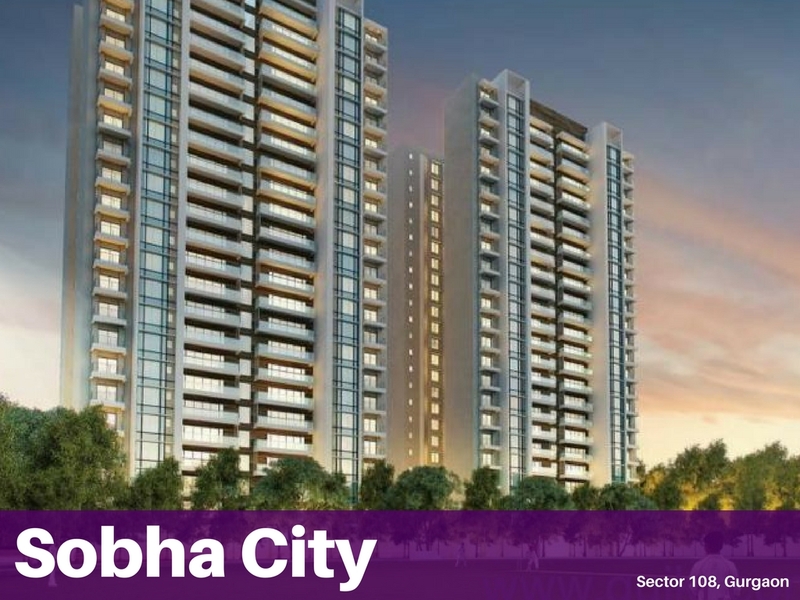 Sobha City sector 108 amenities are planned to assure the comfortable and classy living experience. 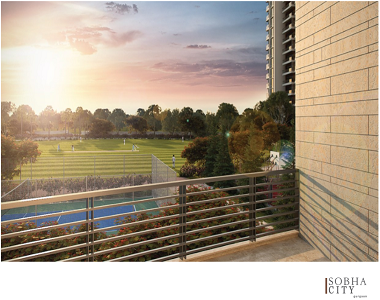 The lifestyle amenities are thoughtfully added in the complex to elevate the living standards of modern buyers. There are 2 oval clubhouses in the complex where you can sit and spend some leisure time with the other residents of the society. Apart from this, there is a 90-meter diameter cricket playground, indoor and outdoor sports facilities, kids’ playing area, swimming pool and much more. The location of Sobha City Gurgaon is planned brilliantly to make the living of residents comfortable. Located in Sector 108 Gurgaon near Dwarka Expressway, the development offers superb connectivity features and well-connected to all the major landmarks in and around the city. The transportation system and road network are well-developed so as to let you travel all around without any hassles. Living here will surely make your living luxurious and peaceful. What are you waiting? Book your dream home today to enjoy good returns and to live a happy and joyful life.